The 2014 Croatian Individual Chess Championship for men was held from 11th to 21st January 2015 in Opatija, a resort town in western Croatia, situated on the Adriatic Sea. The event was a 12-player round-robin tournament with tempo of play 90′/40 + 30′ + 30″. GM Alojzije Jankovic emerged a clear winner with 7/9 points and took the first prize in the amount of 2,800 €. 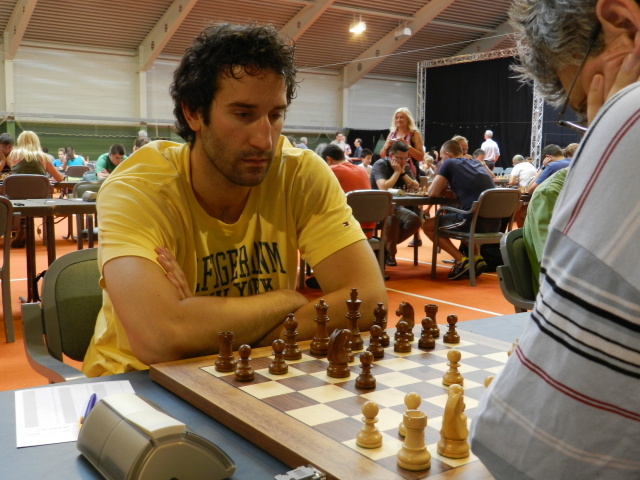 GM Ante Saric and GM Zdenko Kozul tied for the second after finishing with 6.5 points but Saric prevailed on a superior tie-break score and finished second. You can see the full standings and replay the games with analysis below.